This app is the classic card game, war. This is truly a game of chance, no strategy required, but oh so fun. 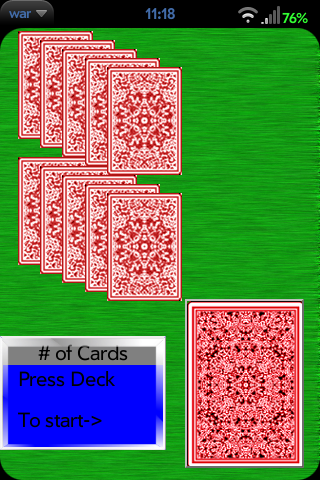 Flip card by card through your deck by taping, comparing who has the higher card on the way toward triumph or downfall. So, the question is, are you feeling lucky?